The month leading up to Christmas is supposed to be about spending time with family, having fun and making memories. Our actions often tell a different story. 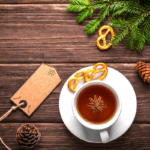 It’s easy to get so wrapped up in the holiday stress that we forget to just have fun. We worry about getting to every single tradition. You know, the ones passed down from your family and the ones you found on Pinterest last month! Your Christmas to-do list gets a bit crazier every day. Suddenly creating the perfect Christmas mantel takes time away from the entire reason you put so much effort into this holiday! fun, memory making family time. 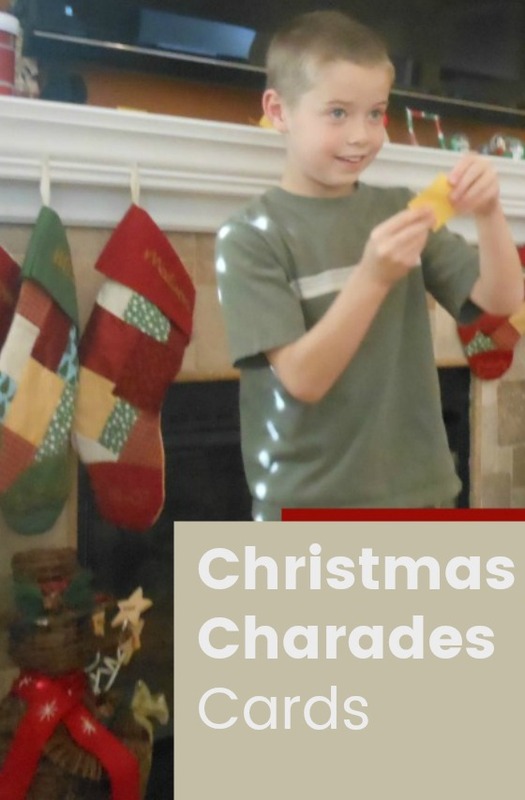 Click here to print the Charade Cards — These printable Christmas Charades for Kids come with a surprise for Mom! A cutting guide will print first… you can prepare the cards and still play! Yay! Print out the Christmas Charade Cards. 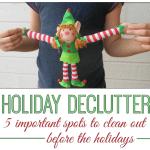 Fold the cards and put them into a pretty bowl or Christmas tin. Set up some house rules. Will talking be allowed? Can you use props? What happens if no one can guess? Will there be a time limit? If you have kids who aren’t reading yet, pick someone who can read the card to them (and not guess) OR draw pictures on the cards before you start. Once you run out of cards have everyone take turns making up their own Christmas Charade. Drawing game. You can also use these cards to make a drawing game. Play the same way as with Christmas Charades but instead of acting out the cards, draw a picture. Who can guess first? Game of Clues. Draw a card and give clues without saying the words on the card. Get creative and see how fast you get everyone to guess. Did any of these Christmas Charade ideas stump your family? What other Christmas charades did you come up with? Very nice idea for kids and adults for christmas. Ready to play Christmas Charades? Enter your email address below and a printable set of 20 Christmas Charade cards will be sent to you!